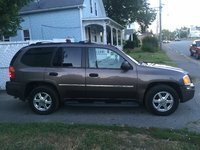 Looking for a Used TrailBlazer in your area? CarGurus has 2,256 nationwide TrailBlazer listings starting at $1,549. A sport utility vehicle that takes the word "sport" seriously, the 2008 Chevrolet Trailblazer hides a hotrod under its shell. The five-seater SUV comes in a variety of standard LT trims or the performance-oriented SS trims, both available in either rear-wheel or full-time all-wheel drive. The LT comes equipped with a choice of a 4.2-liter, 285-hp I6 or 5.3-liter, 300-hp Vortec V8 with cylinder deactivation for better fuel economy. A 6.0-liter, 390-hp V8 powers the sporty SS models, taking it from 0-60 in under six seconds. All models come with a 4-speed HydraMatic auto tran. New features for the 2008 Trailblazer include standard side curtain airbags across the lineup and XM satellite radio. Enhanced safety is provided by standard ABS brakes, traction and StabiliTrak control, 17-inch alloy wheels, and rollover protection. Rear seats split-fold for up to 80 cubic feet of cargo space, and the base models come well equipped with power features, CD player, and cruise control. The SS eliminates extra body weight (no roof rack or cladding) to make the most of its V8 engine, and improved handling and tight turn radius are helped by a one-inch lower ride height (7.8 inches in the LT), bigger front stabilizer bar, and stiffer springs. The SS has a sportier appearance as well, offered in monochrome colors, with sleeker lines and more menacing front grille. The AWD in the LTs features low-range gearing for off-road performance and it can be engaged on dry pavement. 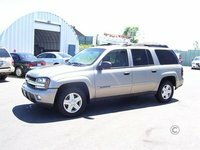 Equipped with the I6, the 2008 Trailblazer reports 16/22 mpg, while the V8 reduces that to 14/17, so you shouldn't buy this or any SUV if fuel economy is a concern. Owners are impressed with the tight handling and turning ratio. The interior is comfortable and spacious, with decent cargo capacity, and the V8 eye-poppingly fast, making the Trailblazer attractive to parents who need to cart around children during the day, but like to unleash their inner performance driver at night when the kids are in bed. What's your take on the 2008 Chevrolet TrailBlazer? 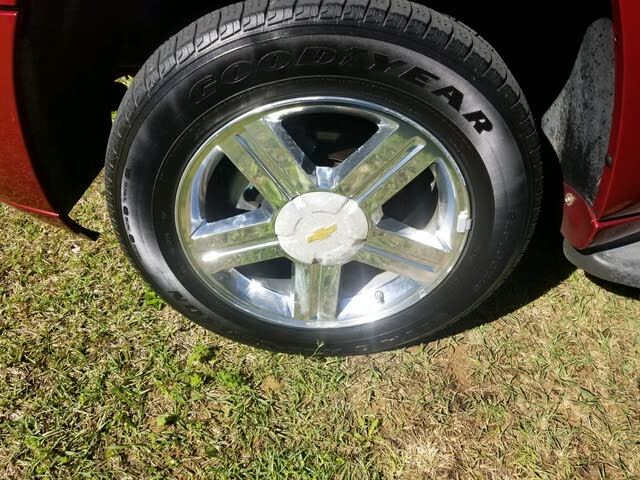 Have you driven a 2008 Chevrolet TrailBlazer? This was just bought for my son. What kind of maintenance, replacements or issues?